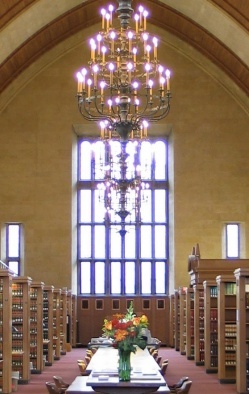 The Cornell Law School Library has been named one of the worlds most beautiful by Flavorwire! Page through to entry number 18 and you’ll see the amazing Gould Reading Room. We join a list of elite and stunning spaces, including Trinity College Library in Dublin, Old Library, St. John’s College at Cambridge, and the George Peabody Library at Johns Hopkins. Students, faculty, and staff of Cornell Law School are justly proud of our space and very grateful for the generosity and foresight of Eleanor and Milton S. Gould, for whom the Reading Room is named, and Myron Taylor, a major law school benefactor for whom the building is named. CALI web lessons help you drill legal concepts from your courses, right down to the specific pages of your casebooks. It’s a great way to prepare for exams. Click here to go to the chart of CALI Lessons by Casebook to see if your casebook is included. If you don’t have the CALI password to access these lessons, stop by the Reference Desk or send an email to get the password so you can get online with CALI right away. Best of luck with your exams!